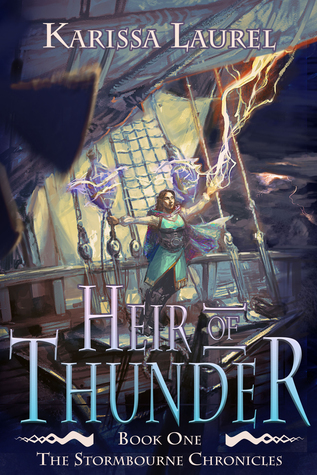 Heir of Thunder by Karissa Laurel is the first novel in the Stormbourne Chronicles. This is a fantasy novel with a touch of steampunk. This book is probably not one that I would have picked up on my own but I am glad that I did because a lot of the elements are ones I personally quite enjoy in novels and therefor have included in the novel I am working on. 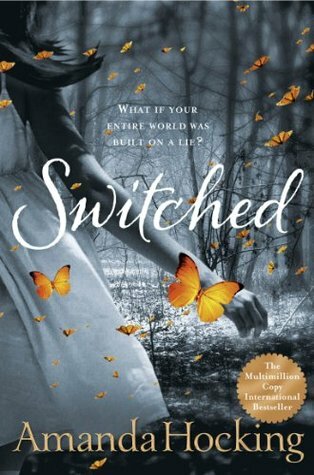 It was really interesting to see how Karissa did these things and I think reading this book has helped me to improve my writing. 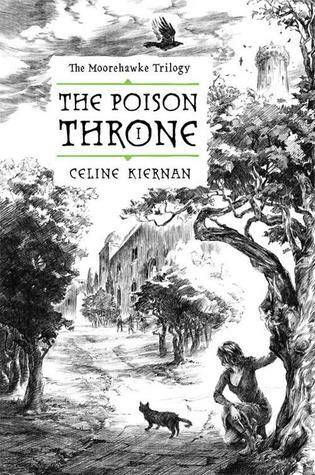 Heir of Thunder follows Evie Stormbourne, the princess of a country who has grown up in isolation from others. When the story begins Evie’s home is under attack and she has to flee. We follow Evie’s journey through various different countries where she meets an assortment of friends and faces a selection of challenges. The largest challenge for Evie is figuring out who to trust, she still doesn’t know who attacked her home or why and her attempts to find out what is going on usually end in people not giving her the full story. Evie is also in possession of some magical abilities, however her lack of knowledge about what she can do and where her abilities originate from cause some problems when she meets people who do know these things about her. 17% – I’m really quite excited to see where this one is going. So far I am slightly confused, the main character is apparently a princess but she doesn’t act like one, she acts too spoiled and recklessly with money to be poor but she has limited manners and poise. 55% – Ok… not sure how I feel about this book. There has kind of been no plot so far and the main character has made some stupid decisions. Plus the cultures in the world are so clearly linked to cultures in our world using some negative stereotypes. Additionally I though this was a past fantasy, one focused on the medieval age but now there are zeppelins?? Also the magic system makes limited sense. I liked the plot. The pacing was kind of slow. The book felt like it could have benefited from another round of revisions to ramp up the tension and pace. A lot of time was spent on description which painted a vivid picture in my mind but kept the story from moving forward as fast as it could have. The concepts and the plot were really interesting to me, I liked how Evie met so many different people and went so many places. There were quite a few characters which got confusing at times and meant some of them felt underdeveloped. I picked up on a lot of times when the author could have shown instead of told. A lot of the story was spent in Evie’s head which made the writing style different to ones I usually read. The world building was very much inspired by our world and history which was cool but there were some representations of certain cultures that seemed problematic. The magic system wasn’t explored much but the source of Evie’s magic being people’s belief in her is such an interesting concept. Also I though the novel was set in our past with a fantasy twist but suddenly there were zeppelins… let’s say I was confused. It was a really cool combination but the world didn’t feel unique enough to be completely separate. Sorry if this seems really scattered. I have so many mixed feelings about this book because as much as I enjoyed it large parts of the plot felt unnecessary and it took me forever to get though because of all the school work I have at the moment so the pacing really slow (it might have just been my perception though). There was a really cool magic system and even though it wasn’t fully explained I feel like that is part of the joy, it feels really magical. Although I would be interested to know where her powers originate from I feel like that will be further explored later in the series. Once I got past the confusion with the world building I really liked it. There were a buch of different locations all with different feels and it was cool to see how they were going to be different. I did really enjoy the air ships, the concept was really cool and I’m surprised it’s not something I’ve seen more of. The series seems to be heading in a good direction, this felt a lot like an introduction to the world and characters so that you knew all the background information before the real majority of the plot kicked off which was kind of annoying but I have high hopes for where the series is headed. 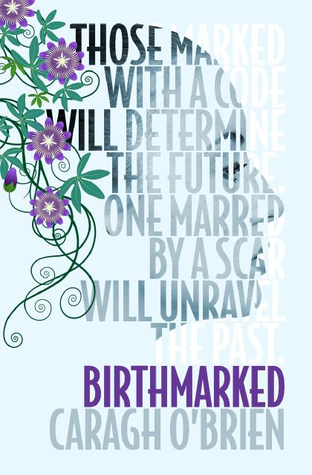 Evie was basically the same person at the beginning of the book as she was a the end, at least internally she was. It felt like the only development she had was being able to represent what she was thinking in a clearer way and learn that she had to keep things to herself sometimes. I would have liked to see a bit more growth. The pacing of the novel was quite slow, I struggled to get hooked into the story especially considering I was really busy at the time so unable to read for long periods of time. Certain parts of the novel felt unnecessary but hopefully they become important later in the series. There as a scene where our character was having a bad dream and we were told that she woke up but it was really unclear to me at what point she fell asleep. I was left wondering if the past few chapters had all been a dream. The information we were given about the history of Evie’s powers were told in a story format. It was a good way of making the information interesting but it was very clearly based on a biblical story. I’m not talking about just a few links, there were some points where it was word for word. This is probably the longest review I’ve ever done… I just have a lot of thoughts and was quite conflicted as to whether I liked this book or not which is why it ended up as a three star rating for me. I also just wanted to let you guys know that I am sorry for not posting on Thursday, I had an essay that I was struggling to finish. Also this post has been queued and I am currently away so if I don’t reply to your comments right away that’s why. The plot sounds so cool but if you only gave it three stars I think I’ll give it a miss. Btw, I tagged you in my latest post if you want to check it out! Ooh ok I’ll go take a look, I’ve been really busy lately so I’ve gotten a bit behind on stuff.